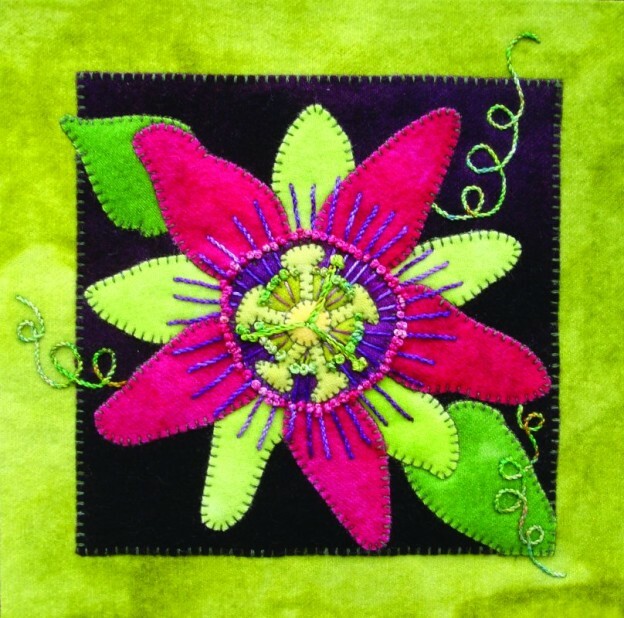 Passion Flower by Wooly Lady. Includes a full-color photo of the block, full-size pattern templates and all the hand dyed wool necessary to complete the block. Passion Flower is the second block in the Heirloom Blooms, 10-month block of the month wall hanging done in WoolyLady hand dyed wools. The completed wall hanging measures approximately 44″ square. This entry was posted in Wool kits on March 1, 2016 by Bonnie Grassie-Hughes.